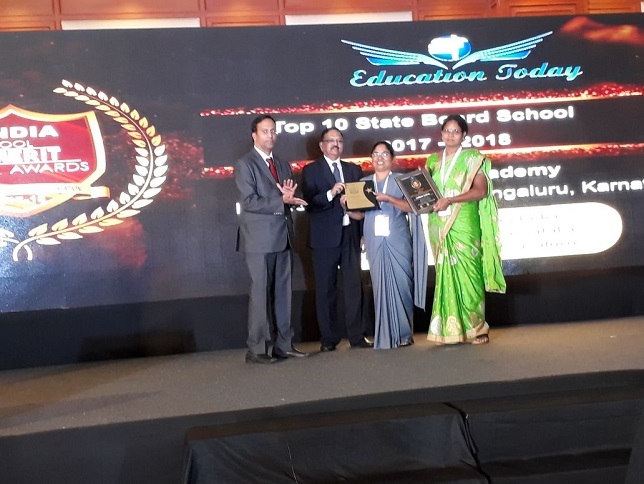 We are proud and very pleased to announce that our school “Aradhana Academy” has been ranked no.10 in India and No.2 in Karnataka and Bangalore. 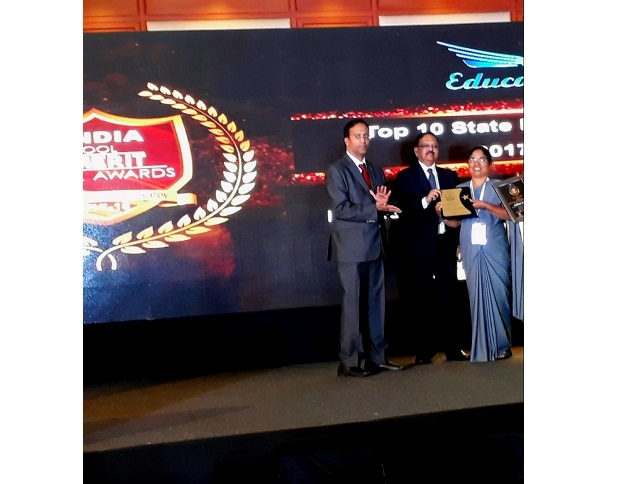 Category – India’s Top Ten State Board schools in a survey conducted by Education Today.co. 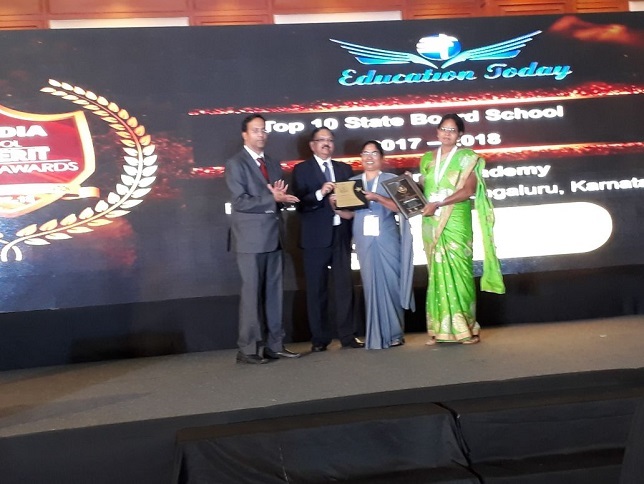 The Award is based on ten parameters such as Individual Attention, Infrastructure, Leadership Management Quality, Co-curricular activities, etc. It was based on Parents’ votes and perception based Team Analysis of Education Today.co. The award was presented to our principal, Sr.Siji who was accompanied by Mrs.Muthumariamma, Academic Coordinator-State at the India’s School Merit Awards function held on December 9, 2017 at the Chancellory Pavillion, Bangalore. 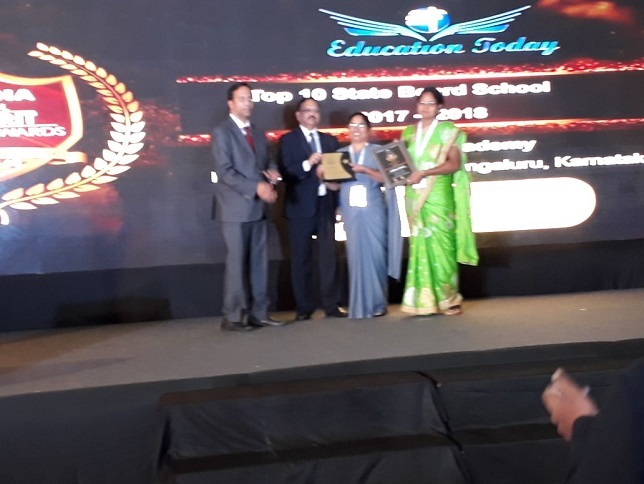 We thank all the members of Aradhana Family, i.e. our staff, parents and students and all those who are associated with us.